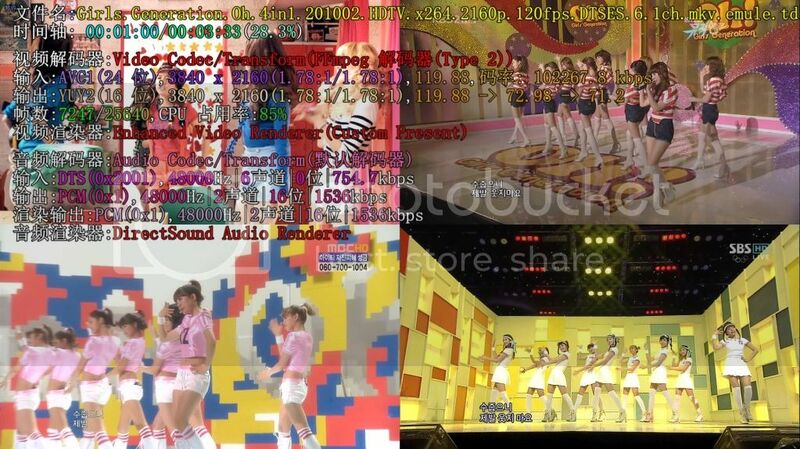 Girls.Generation.Oh.4in1.201002.HDTV.x264.2160p.120fps.DTSES.6.1ch.mkv.td​ (2.0 MB) - added by ulti-killer 7 years ago. my i7-860 processor cannot decode the video to full(120) fps and it will become very lag when playback. I need to fast seek to any timeline to restore back the speed but it still cannot reach to full(120) fps. I need decode this 2160p video in full(120) fps and swimmingly all the time. Thanks. I use CutTool?.exe and cut it to 10 mb and upload to 115 file sharing site. Which playback application are you using? PotPlayer? is an application written by people stealing the work of the FFmpeg developers. 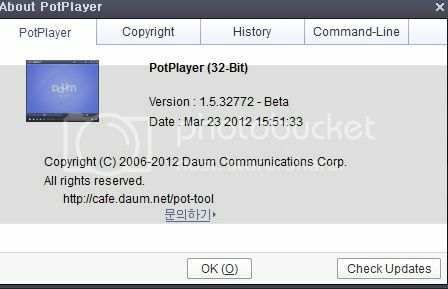 We therefore cannot accept PotPlayer? bug-reports. Potplayer violates which line of FFmpeg License? This is PotPlayer? bug report and not FFmpeg bug report, in other words such bug report(s) are useless to us. To make this valid bug report you to need make sure that same issue is happening with mplayer/ffplay.